This common belief is also contradicted by the evidence that we have, the most recent and dramatic of which comes from the Carl Wieman Science Education Initiative (CWSEI) at the University of British Columbia (UBC). The CWSEI study compared lecture format with interactive, clicker-based peer instruction in two large (267 and 271 students, respectively) sections of introductory physics for engineering majors. The results were published in Science  and made enough of a splash that they were reported in The New York Times , The Economist , and ScienceNOW . 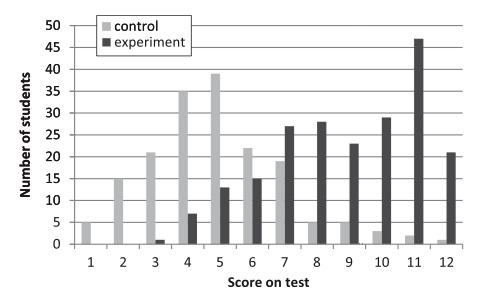 What is most impressive is how well controlled the study was—ensuring that the two classes really were comparable—and how strong the outcome was: The clicker-based peer instruction class performed 2.5 standard deviations above the control group. UBC teaches the second semester of introductory physics, electricity and magnetism, to 850 students, divided into three large sections, two of which were chosen for this study. The experimental and control sections were run identically for the first 11 weeks of the semester, led by two instructors who had many years of experience in teaching this class and high student evaluations. Students were measured at the start of the term using the Colorado Learning Attitudes about Science Survey and in two common exams given before the study. During week 11, in preparation for the study, students took the Brief Electricity and Magnetism Assessment, class attendance rates were observed, and trained observers watched the class to measure the level of student engagement. At the end of week 11, the two classes were indistinguishable in terms of knowledge, engagement, and interest. During week 12, a postdoc assisted by a graduate student (the first two authors of the report, L.D. and E.S., respectively), replaced the instructor in the experimental section. They had never taught this material before but had been trained in the use of clickers and peer instruction. The instructor of the control group, Instructor A, met with them before week 12 to decide on course topics and learning objectives and to construct the test that would be used after week 12 to measure student learning. L.D. and E.S. taught their section using clicker questions with opportunities for students to discuss the answers with their neighbors, instructor feedback (for 3–6 minutes at a time), and group tasks. Instructor A observed this class before teaching his section and used many of the same clicker questions, but only for summative evaluation, never for the purpose of engendering classroom discussion among the students. The test of the material presented in week 12 was given at the start of the following week. As the histogram below shows, the difference in scores was dramatic, 2.5 standard deviations between the means. Histogram of student scores for the two sections. The Science article concludes with a discussion of the possible influence of the Hawthorne effect, the common belief that any intervention produces improvement just because the subjects are aware they are being studied and thus are more attentive. The authors point out that the original Hawthorne study was seriously flawed. There was no Hawthorne effect in the Hawthorne study. In the Supporting Online Materials , they reference papers that support the argument that such an effect is not a significant factor in educational research, and the authors explain why the discrepancy in scores cannot be explained by the novelty of the approach. This study was conducted in a physics class. In addition to the fact that Carl Wieman is a physicist, at least part of the reason for this choice of department is that research in undergraduate physics education is well advanced. 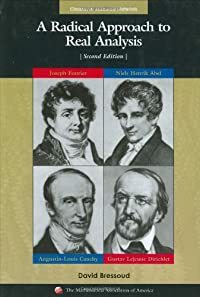 Twenty years ago, Hestenes, Halloun, and Wells developed the Force Concept Inventory , a multiple choice test that reveals how well students understand the concepts underlying physical mechanics. This inventory has since been expanded to other well-tested and calibrated instruments for measuring student comprehension of the physics curriculum. 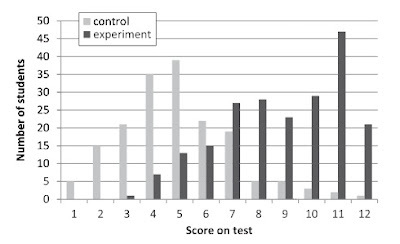 These instruments, from which the test developed for this study was patterned, provide a widely accepted means of measuring the effectiveness of educational interventions. At the same time, Eric Mazur at Harvard began the development of the instructional method based on classroom clickers and peer instruction [10, 11] that was tested by CWSEI at UBC. This approach has benefited from twenty years of improvement and refinement. For mathematics, Jerry Epstein has produced a Calculus Concept Inventory , and others are working on similar mathematical inventories. There also is a very active community of researchers in undergraduate mathematics education that is developing clicker questions and techniques for peer instruction (see my column from March 2009, Should Students Be Allowed to Vote? ). But I do not think that the real lesson of the CWSEI study is that we all should start teaching with clickers and peer instruction. 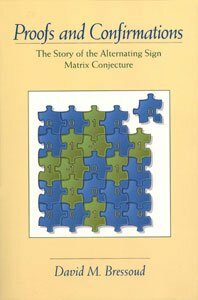 I believe that the real lesson is that no matter how engaging the lecturer may be, sitting still, listening to someone talk, and attempting to transcribe what they have said into a notebook is a very poor substitute for actively engaging with the material at hand, for doing mathematics. Of course, we all recognize this. The excuse given for lecturing is that it is an efficient means of conveying a large amount of information, and it can be inspiring. Most instructors expect that students will do the mathematics back in their rooms as they go over the lecture notes. The unfortunate fact is that few students know how to engage mathematics on their own. 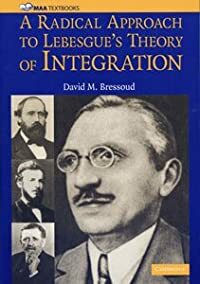 As Uri Triesman famously observed and documented back in the 1970s, most mathematics students do not know what they do not know, nor how to begin to overcome this deficit. The most effective way for them to discover the gaps in their own knowledge is to discuss the mathematics with their peers who also are struggling to put the pieces together . What Eric Mazur has found and the CWSEI study has confirmed is that class time is better spent helping students learn how to engage the subject by making them active participants than in simply communicating information. Especially today with so many great lectures and other sources of information available online where each student can pace the flow of instruction so that it fits what he or she is ready to absorb, the need to “cover the syllabus” during class time has largely disappeared. But how many calculus classes resemble an inspiring lecture by Artin or von Neumann? Is that really what we are doing when we stand at the front of the room? In the CWSEI study, Instructor A was a much more animated and intense speaker than the regular lecturer for the experimental section. Yet by the end of week 11, his students performed no better than those in the other section. The CWSEI study is less as an endorsement of clickers and peer instruction than a condemnation of using class time to hear the instructor talk. There are fewer options in a large class. Here, clickers and peer instruction may well be the best means of instruction. But as the MAA’s survey of Calculus I instruction showed, 80% of all instructors are teaching in classes of 40 or fewer students. There is no excuse for just talking, or even for talking much at all. Next month I will write about other ways we can shut up and teach. Halmos, P. R., E. E. Moise, and G. Piranian. May, 1975. The Problem of Learning to Teach. The American Mathematical Monthly. Vol. 82, no. 5, 466–476. Hestenes D., Wells M., Swackhamer G. 1992. Force concept inventory. The Physics Teacher 30: 141–166. Hsu, E., T. J. Murphy, and U. Triesman. 2008. Supporting High Achievement in Introductory Mathematics Courses: What Have We Learned from 30 Years of the Emerging Scholars Program. Pp. 205–220 in Making the Connection: Research and Teaching in Undergraduate mathematics Education. Marilyn P. Carlson and Chris Rasmussen, eds. MAA Notes #73. Mathematical Association of America. Washington, DC. Access pdf files of the CUPM Curriculum Guide 2004 and the Curriculum Foundations Project: Voices of the Partner Disciplines. Find links to course-specific software resources in the CUPM Illustrative Resources.